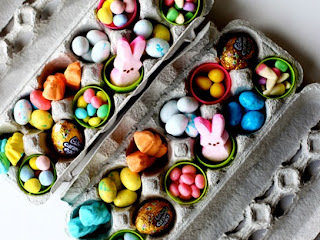 Brighten things ups with a few whimsical, super-easy projects. 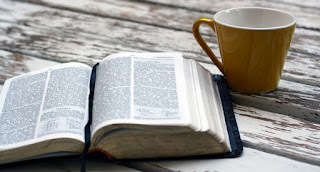 It’s that time of year again—tulips are blooming, daffodils are peeking out of the earth, and blossoms are just starting to bud on tree branches. Spring is approaching and it’s time for an update indoors and out. 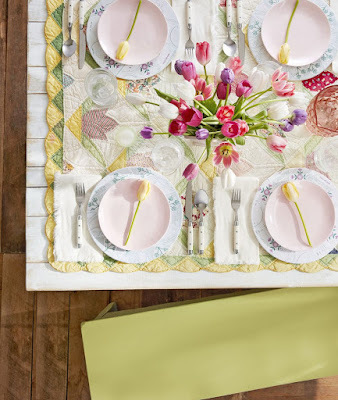 Try adding a little spring color to everything from your front door to your table with these super easy projects that often require only a few supplies. What’s a more fun way to ring in spring than with a crafty new project? 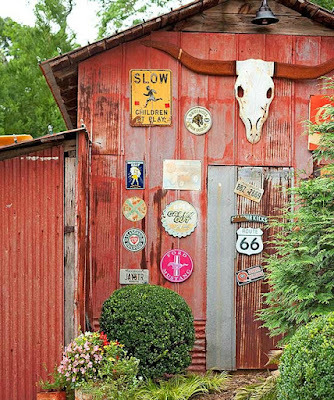 A few must-try spring DIY projects. 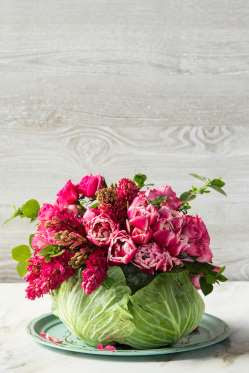 The perfect centerpiece for Mother’s Day or for spring parties. The cabbage is unexpected, but so easy. Instructions here. 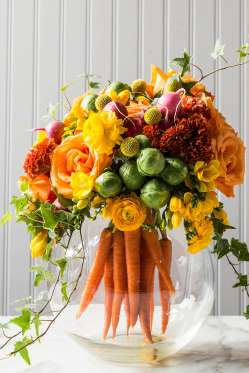 This colorful arrangement is the spring equivalent of a springtime cornucopia, relying on both flowers and produce for its beauty. Instructions here. 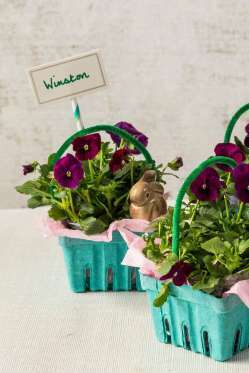 Old produce cartons get a great second act as planters for all your spring blooms. Instructions here. 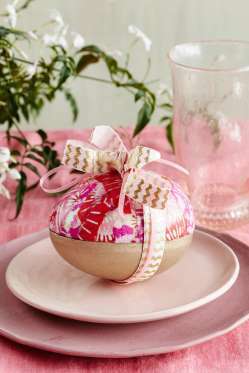 Jazz up table settings with a little paper mache magic. 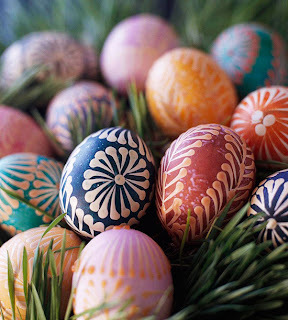 Use modge podge, paper, and ribbon to create these imaginative eggs. Instructions here. 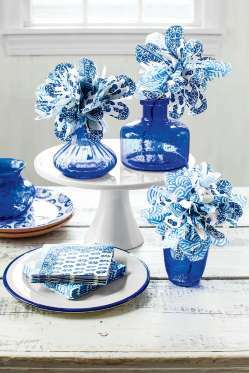 Fill a vase using just wire, scissors, and some patterned paper napkins. Instructions here. 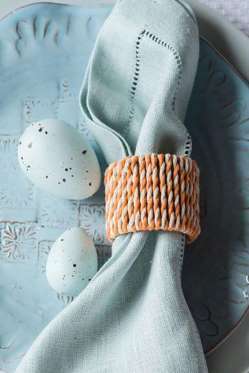 Make these super simple napkin rings and impress guests every time. (Little do they know all it took was a toilet paper roll and some string!) Instructions here.